Why is bisexuality the object of such skepticism? Why do sexologists steer clear of it in their research? Why has bisexuality, in stark contrast to homosexuality, only recently emerged as a nascent political and cultural identity? Bisexuality has been rendered as mostly irrelevant to the history, theory, and politics of sexuality. With A History of Bisexuality, Steven Angelides explores the reasons why, and invites us to rethink our preconceptions about sexual identity. Retracing the evolution of sexology, and revisiting modern epistemological categories of sexuality in psychoanalysis, gay liberation, social constructionism, queer theory, biology, and human genetics, Angelides argues that bisexuality has historically functioned as the structural other to sexual identity itself, undermining assumptions about heterosexuality and homosexuality. 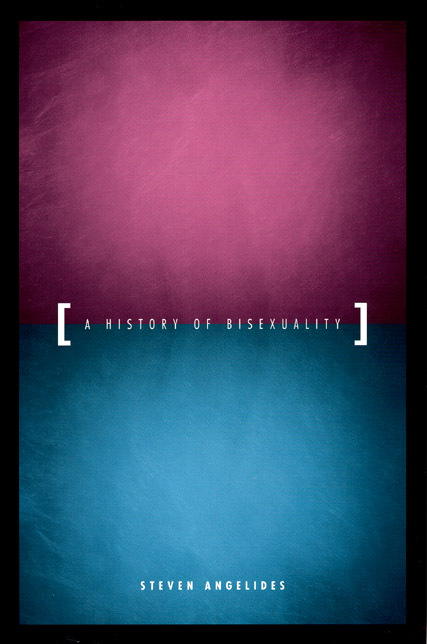 In a book that will become the center of debate about the nature of sexuality for years to come, A History of Bisexuality compels us to rethink contemporary discourses of sexual theory and politics. 3 "The Unsolved Figure in the Carpet"